Kota Kinabalu, Sabah: Earlier this year we hosted a group of Danish Adventurers who visited Sabah to explore her treasures from oceans deep to mountains high. September saw the arrival of another group for more of the same. 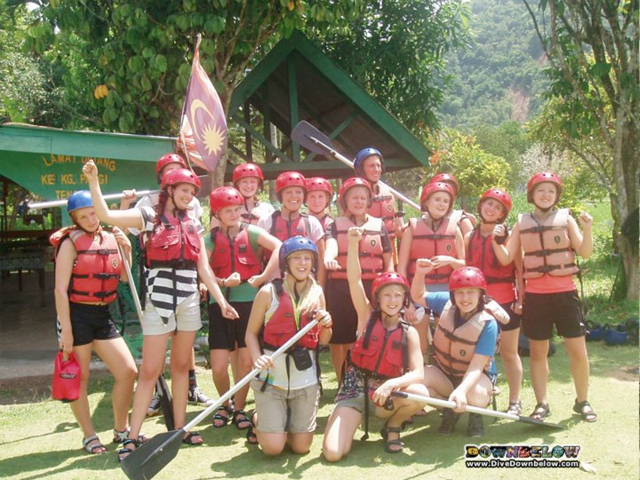 The previous group of 10 Danes had a blast on their Sabah leg of multi-country adventure, and the numbers have swelled to a total across the two group of 22 participants. As part of their itinerary they take on the Salt Trails. It’s a 4 day journey winding along the ridges of the Crocker Range Mountains from Kampong Inobong not far from Kota Kinabalu, to the end of the trail near Tambunan, 35 km away. Their adventure also includes living on Gaya Island for a week at our PADI 5 Star IDC Dive Centre where they will learn how to dive and qualify as PADI Open Water Scuba Divers. Mt. Kinabalu looms large on their list of things to do. Malaysia’s highest peak towers 4,095m above Sabah and it’s up to the ddventurous Danes to summit her peak during a 2 day journey, which involves a 16km hike taking them through 2,000m of elevation. 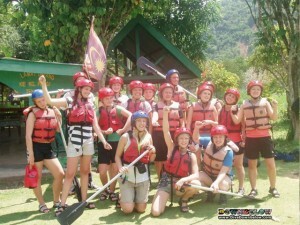 Rounding off their itinerary is a plethora of Borneo wildlife. They will travel to Sandakan where the Orang Utan Rehabilitation Centre in Sepilok awaits, before embarking on wildlife safaris on and around the Kinabatangan River to try and spot orang utans, proboscis monkeys, crocodiles and even pigmy elephants in the wild. The Gomantong Caves, one of the world’s largest sources of bird nests used in Bird Nest Soup, is also part of the visit to Sandakan. Through their busy schedule, the Danes will have ample leisure time during which to explore the culture and food of which Sabah has so much to offer, leaving them with thorough experience and deep impression of this land below the wind. Keep an eye on the blog for updates, or see the highlights on our Facebook page in the Facebook album.